A US archbishop will travel to South Korea next week in a bid to assist their Korean Catholic counterparts' efforts to build peace with North Korea, the local church said Wednesday. 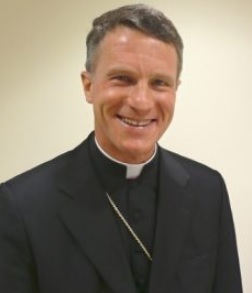 The solidarity visit by Archbishop Timothy P. Broglio, chairman of the Committee on International Justice and Peace of the United States Conference of Catholic Bishops, is scheduled from Dec. 18-21, according to the Catholic Bishops' Conference of Korea. On the second day of the visit, the archbishop will attend a meeting on inter-Korean and North Korea-US diplomatic issues, hosted by the Korean body's Committee for the Reconciliation of the Korean People. North Korean refugees will also be part of the meeting to discuss North Korean human rights, with the presence of Father Gerard E. Hammond, who has been involved in North Korean humanitarian aid for the last 20 years at the Korean unit of the Maryknoll mission. Conference of Korea, as well as Cardinal Yeom Soo-jung, the Korean Roman Catholic Archbishop of Seoul, to discuss peace efforts with North Korea. On the last day of the visit, Archbishop Broglio will visit the Unification Ministry and the US Embassy in Seoul before leaving the country.